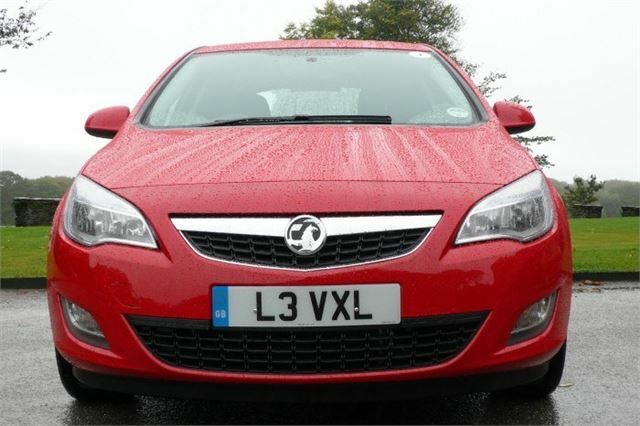 Make no mistake, the new 2010 Vauxhall Astra is a very important car. The survival of GM manufacturing in the UK depends on it. Happily, for the sake of you, Ellesmere Port workers and the British economy, its prospects are very good indeed. So far Ellesmere Port is the only plant in the World building this car, though it will soon also be built in Poland. Ellesmere had to win the contract. And among the many reasons it did are its exemplary safety record of no less than 19 million man hours without an injury to any of its workers. 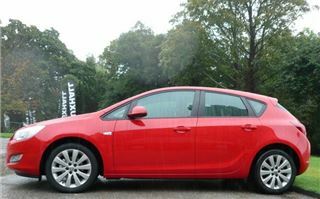 It also has the lowest warranty cost of any GM plant in Europe, which, to you means Ellesmere is turning out the highest quality. 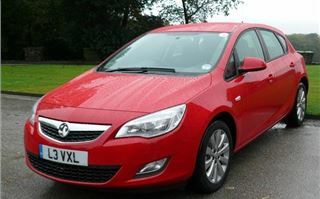 But none of that would matter to the average car buyer if the new Vauxhall Astra wasn’t a very good car. I can tell you, it’s not only very good. It leaps straight to the top of its class. The first important reason goes back to the steam age. It’s called the Watt’s linkage and was originally designed by James of the same name to constrain the movement of a steam engine piston in a straight line. When applied to a car’s rear suspension it prevents relative sideways motion between the axle and body of the car much more effectively than a single Panhard rod. 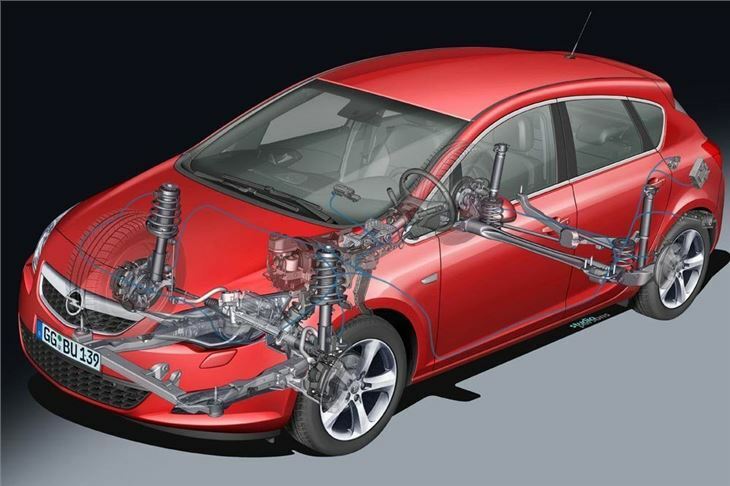 In the case of the new Astra, it allowed the engineers to use much softer rear axle trailing arm bushes and fit softer springs without compromising the car’s roadholding. This is in complete contrast to Astras of old that gave “sporty” characteristics by virtue of a rock hard ride. 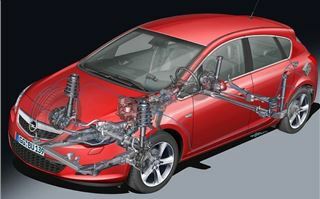 Second special feature of the new Astra is the electric power steering. 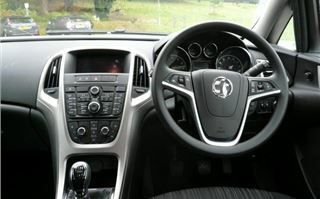 This is a powered rack rather than a powered column, but, as with the new Megane, it allowed Vauxhall engineers to electronically tune the steering to feel right at all speeds and in all conditions. They succeeded, because you definitely do get the impression of being able to ‘feel’ what the tyres are doing through the steering wheel without any muscle building exercise when parking. Next, the body. 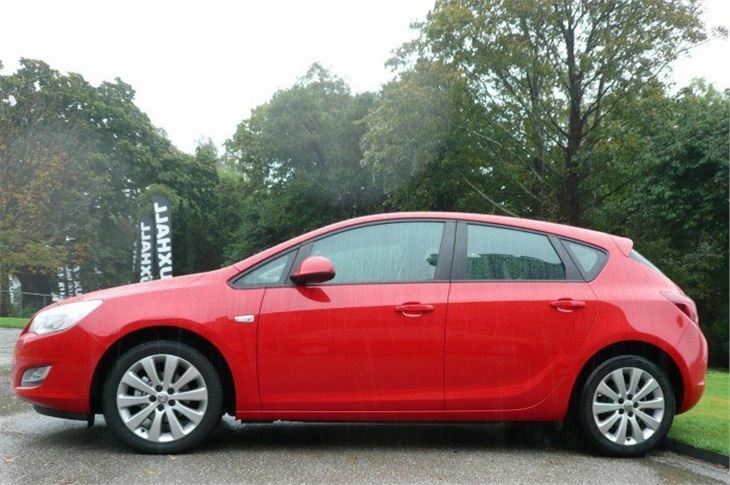 It’s very good looking, with a sporty coupe profile and the four side windows framed with a chrome strip. The obligatory daytime running lights run around the tops and sides of the headlights, warning of your presence without dazzling other drivers or concealing motorbike headlights. The dash is neatly done with an impressive array of switches and a neat little red LED dot that extends the speedo and rev counter needles to the outer edges of the scales to help you read them accurately. But most important of all is the room inside. 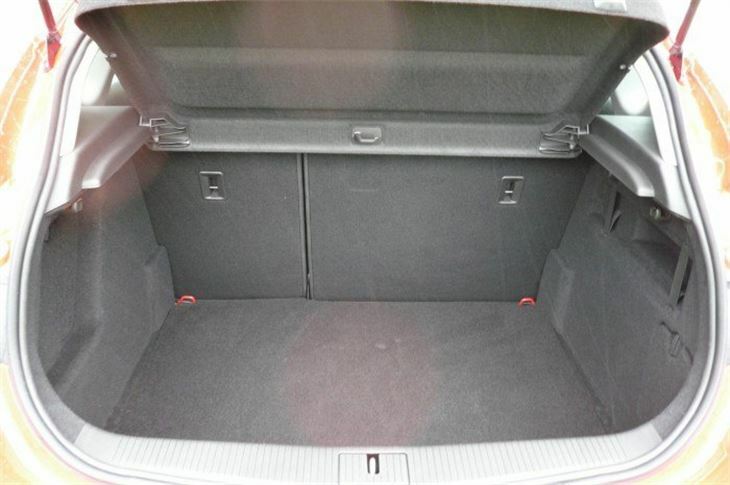 A tallish adult, or me with my hat on, can sit in the centre of the rear seat in comfort. 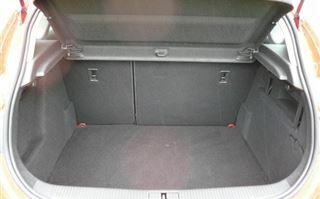 It’s true that some of the ‘quality’ touches of the Mk VI Golf are missing, such as the velour lined glovebox, but we were driving the base specification ‘Exclusiv’ model and it was only when I looked it up in the price list that I realised it was base spec. It certainly didn’t feel base spec. There’s a sensible range of engines. I.4 and 1.6 chain cam petrol , with and without turbos, 1.7 diesels in two outputs, and a 2.0 litre diesel. We drove the 140PS 1.4 turbo, that also pumps out 200Nm torque from 1,850rpm. It doesn’t feel quite as torquey from low revs as Renault’s or VWs 1.4 petrol turbos, or Peugeot 1.6THP. But it’s a very smooth and willing engine and pulls a very high 6th gear giving around 34-35mph per 1,000rpm. 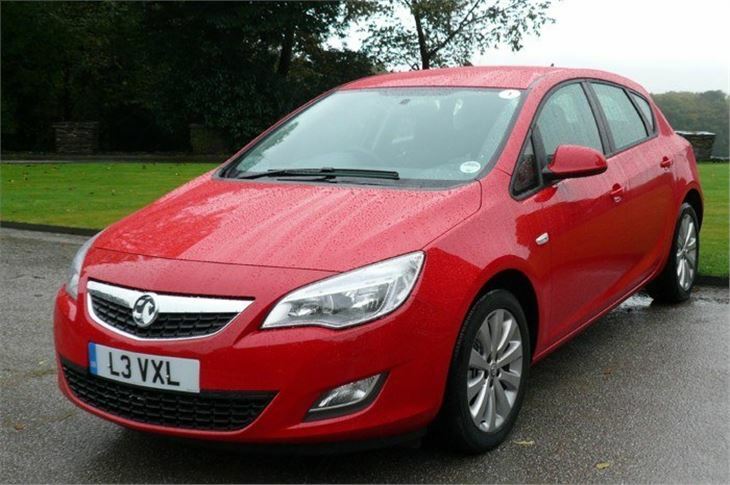 Fuel economy on the combined cycle is an excellent 47.9mpg, and CO2 of just 139g/km puts it into the £110 VED Band E.
The old Astra was second only to the Focus in UK sales. But while the Mk III Focus is a big improvement over the Mk II, it’s still basically a Mk II, with a body shape that has been around for five years now. 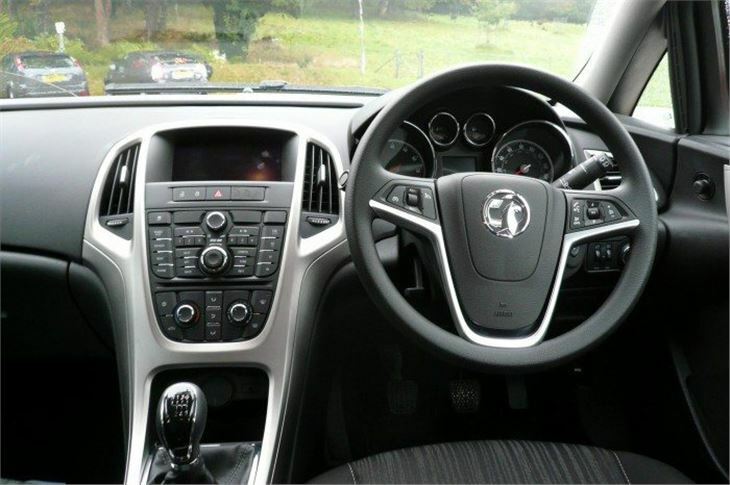 The new Astra is all new. New body. New suspension. New petrol engines. And it all works sensationally well. 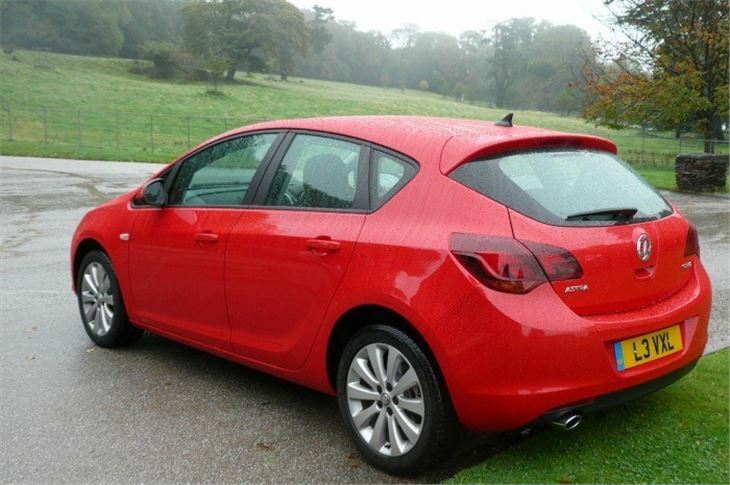 So, once Vauxhall ramps up production to 40 an hour at Ellesmere Port, I don’t think it will be long before the new Astra wrests top spot from the Focus. 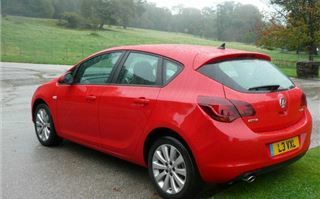 And, though I still like the Focus, I think this will be well deserved, with a lot of happy and very comfortable Astra drivers.